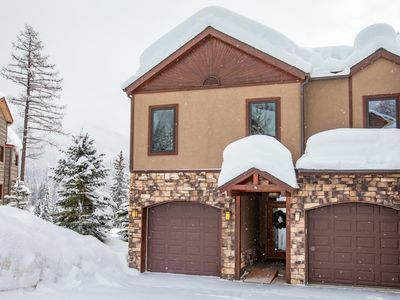 Luxurious ski lodge features private hot tub - perfect for large groups! 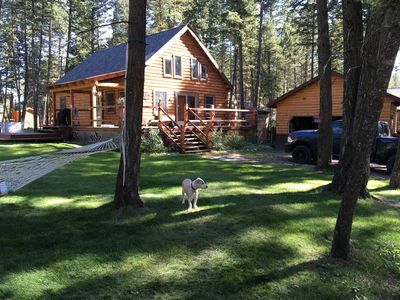 Come enjoy the tranquil beauty of this Montana vacation rental in the mountains! 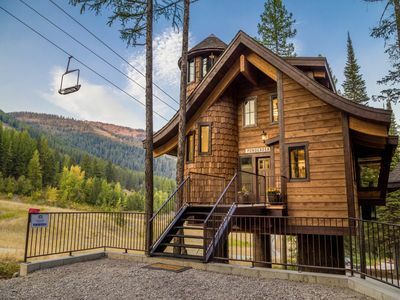 With nearby slope access, a private hot tub, and stunning views, you've got it all. 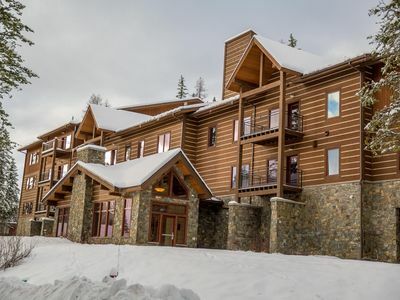 Not far from Whitefish Resort, this lodge is ideally located for skiers. 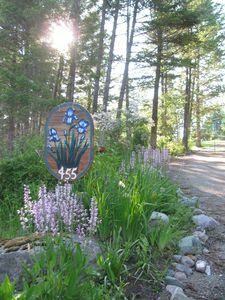 Downtown Whitefish is just seven miles away when you're looking for groceries, and the deck has views of Whitefish Lake. 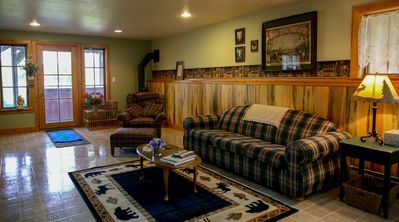 In the great room, leather furniture and a stone fireplace add to the lodge ambiance. 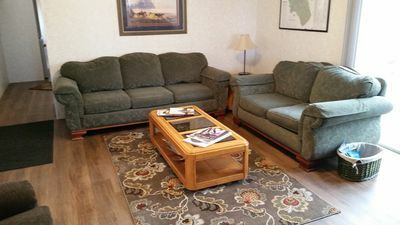 There's a flatscreen cable TV in the living room, plus WiFi to check the weather. 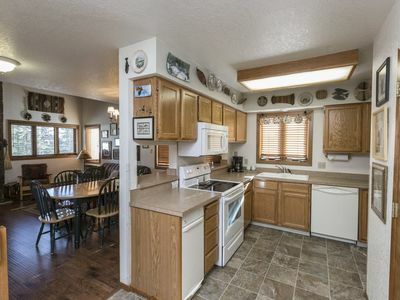 A fully equipped kitchen has everything you'll need to prepare delicious dinners, as well as a dishwasher to make cleanup afterward quick. Enjoy your meal at the large table, or head out to the deck for a barbecue. As the stars come out, soak in the private hot tub and appreciate the break from the city. 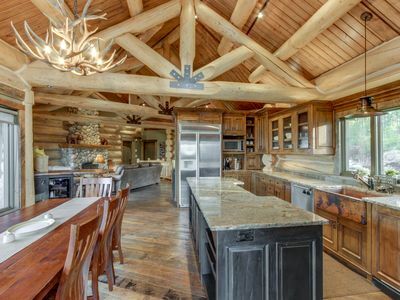 There's plenty of room for 12 people to stay in this large lodge. 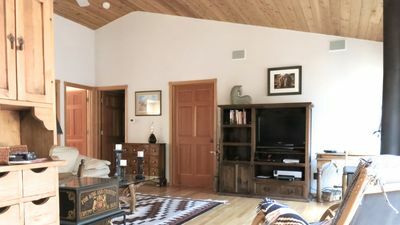 In total, the house has five bedrooms, a loft, and three-and-a-half bathrooms, as well as a private washer/dryer. The master suite has an en suite bathroom with a heart-shaped tub. 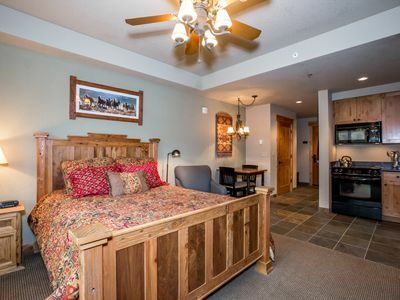 Of the other bedrooms, one has a king bed, two have queens, and one room is perfect for the kids with a twin bunk bed. If you need a bit more sleeping space, the loft has a sofabed. 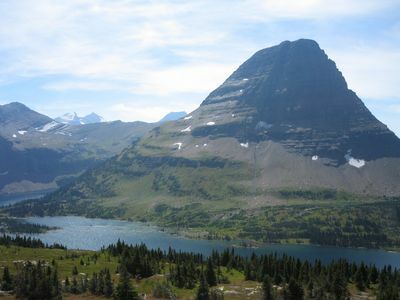 Go for a long hike or camp for a night in Glacier National Park, which is a short day trip away. 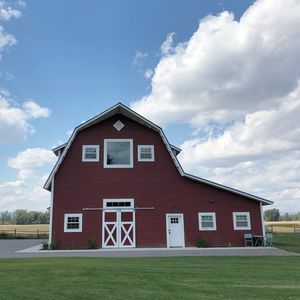 In Whitefish, buy souvenirs made by local artisans at Whitefish Pottery, try a flight of beer at Bonsai Brewing Project, or have a girls' night out at Spotted Bear Spirits, which serves amazing espresso martinis. 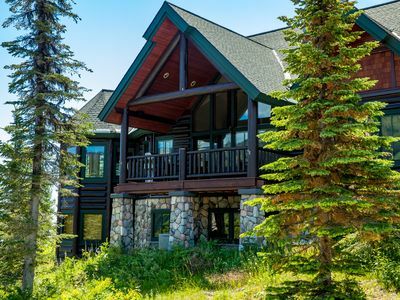 Don't risk missing out on the trip of a lifetime - reserve this home for your vacation and start looking for flights! 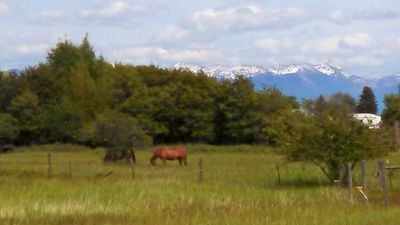 Whitefish Mtn. 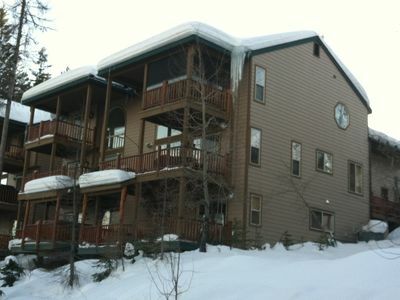 Ski-in/Ski-out Townhouse- Sleeps 12! 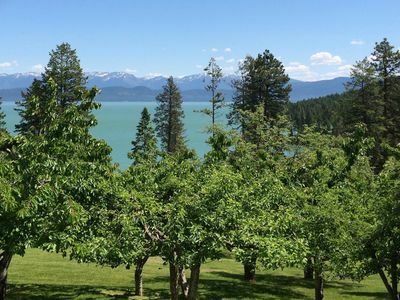 Spacious yet cozy home w/mtn & lake views - year-round outdoor adventures! Ski-in Ski-out* right next to the chair lift!! 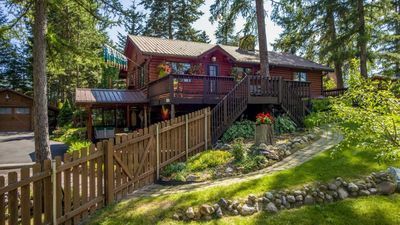 Private hot tub and sleeps 12! 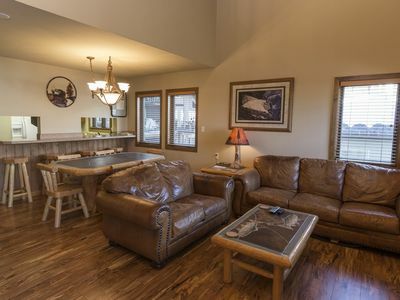 Stocked & Clean for your dream vacation in the Flathead Valley. 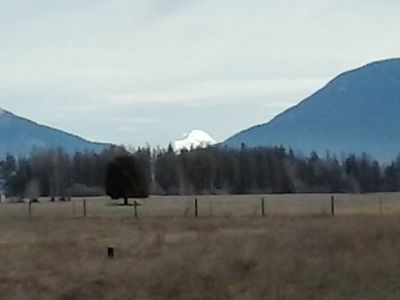 Enjoy the best view of Big Mtn from this stunning unit! 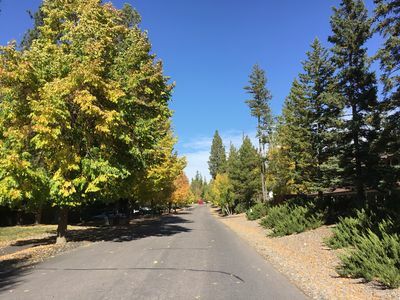 4BD 4.5BA w/ Hot Tub!